We’ve all heard the stories about the death of American writer Edgar Allan Poe. A hopeless alcoholic, Poe died at age 40, drunk in a gutter in Baltimore, a victim of his debauched lifestyle. Those legends abound, and they are apocryphal. Poe likely died of rabies. 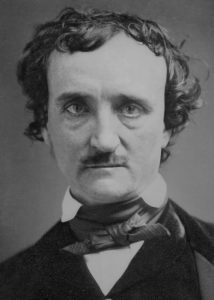 Poe had been seen in a bar on Lombard Street, disheveled and delirious, but it is well established that he died in the hospital. He was comatose when admitted to Washington College Hospital. By the next day, he was perspiring heavily, hallucinating and shouting at imaginary companions. The following day, he seemed better but could not remember falling ill. On his fourth day at the hospital, Poe again grew confused and belligerent, then quieted and died on Oct. 7, 1849. Poe almost surely did not die of alcohol poisoning or withdrawal. A drinker in his younger years, he became so sensitive to alcohol that a single glass of wine would make him violently ill for days. In his later years, he avoided alcohol almost completely. While hospitalized, he was offered alcohol — a common medical remedy in those days — but he refused, and could drink water only with great difficulty. Hydrophobia is an older name for rabies, and references the throat spasms associated with the disease that are so painful that human and animal victims can scarcely eat or drink, and usually refuse water despite their thirst. As part of a clinical pathology conference in 1996, doctors were presented with a hypothetical patient and a description of symptoms, and then asked to offer a diagnosis. R. Michael Benitez, MD, a cardiologist who practices a block from Poe’s grave, concluded that this was a classic case of rabies. After noting the lack of CT scans and MRI results in the file, Benitez, then an assistant professor of medicine at the University of Maryland Medical Center, slowly began to realize that the case probably was not from the 1990s, and the hypothetical patient — identified only as “E.P., a writer from Richmond” — was likely Poe. The case was featured in the Maryland Medical Journal. 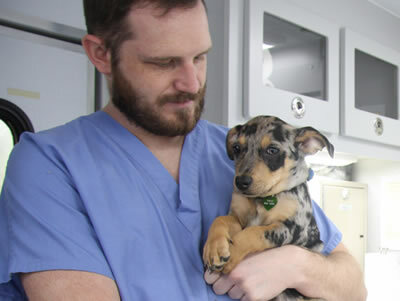 “(Poe) had all the features of encephalitic rabies,” agrees Henry Wilde, MD, who frequently treats rabies at Chulalongkorn University Hospital in Bangkok. There was no evidence that a rabid animal had bitten Poe. About 25 percent of rabies victims reportedly cannot remember being bitten, and symptoms can take up to a year to appear after infection. When symptoms do appear, most patients die within a few days. Still a swift and brutal killer, only six people to date have survived a rabies infection after showing symptoms. Poe was also a victim of diabolical forces beyond rabies. It appears that his doctor, who became a temperance advocate later in life, changed the details of his death in order to make the well-known writer an object lesson. Poe was also slandered by a lesser talented rival who somehow became his literary executor. Poe was the first well-known American writer to try to earn a living through writing alone, which resulted in a financially difficult life and career. He was one of America’s earliest practitioners of the short story, and is generally credited as the inventor of the detective fiction genre. He is also considered a major figure in the emergence of the science fiction genre. He is best remembered for his Gothic tales of mystery and the macabre, a fitting epitaph for a man whose death was a whodunit for 150 years. The goal of the Global Alliance for Rabies Control: the scourge of rabies being nevermore by 2030.